TV Series Sony X850D belongs to the middle class Sony TVs released in 2016 and is a 4K TV. One of the advantages of this series is that the TV already supports HDR technology, which offers a more detailed image quality. On the market range will be available in four versions with 55, 65, 75 and 85 inch screen. Remember last year's lineup X850C TVs, a review of which we proposed. What is the difference TVs Sony X850D and Sony X850C? Let's look at an overview of the TV Sony X850D and find differences for a greater understanding. The latter model is likely to be different costs. But the prices are never standing still in the future price of a new TV will definitely fall. One of the main differences between Sony X850D TV from Sony X850C predecessor is the availability of High Dynamic Range technology. As you know, HDR image quality comparable to a digital camera (Digital Camera), and professional photography. This stunning image detailing. The image quality with the use of such technology is not based on the number of pixels on a TV screen. The smallest details are available at the right use of light and shade. It allows 4K image on the Sony X850D screen look natural. But, unfortunately, in this model there is no technology 3D images. It is worth mentioning that the 3D did not become popular and manufacturers in 2016 gradually began to get rid of it. The TV X850C image conversion to 3D is still there. As can be seen from the performance comparison table and Sony X850D Sony X850C no big differences. The image processing X850D used 4K X-Reality Pro processor technology and X1. These technologies make it possible to obtain high-quality 4K image, not only in the native 4K format and content of a lower resolution. As you remember, scaling 4K Up-Scaling the Sony one of the best manufacturer. Applied TriLuminos technology X850D TV gives accurate color images. Sony X850D image contrast is also a strong point of this TV. As already mentioned, in addition to the excellent performance of the TV picture quality of 4K standard sources and from the video source with low resolution. TV Sony X850D, we can say, the best-in-class in this parameter. Thus, the absence of natural (native) 4K content for Sony X850D TV is not a problem. MotionFlow XR960 technology used in Sony X850D TV for high-quality playback of highly dynamic content. It's worth noting that this technology is based on the refresh rate of 120 Hz, so the picture looks better quality as compared to the 60 hertz TVs. It will put a minus - in the TV Sony X850D this option disappoint. If we take into account Samsung 4K TV TVs with curved panels or LG's IPS panel, the latter is clearly superior X850D. Let's just say, the maximum deviation from the center of the screen should be no more than 20 degrees for the perfect picture. The majority of LED TVs is a standard measure that repeated X850D TV from Sony. Given the success of its predecessor, the Sony TV X850D uses an updated Android TV operating system. Significant changes a user might not notice, but assures the manufacturer, increased performance, and, consequently, the response in the OS interface. As you know, Google Android is one of the most popular Operating System, it is customary to use and familiar to mobile devices. Control your TV is about the same as a mobile phone at this OSes. To repeat the usual-pointing at the screen of the smartphone in Sony X850D TV uses a small touchpad Sony Touch Pad as an additional remote control. On the possibility we will not tell you to install additional applications - it is familiar to everyone. In addition to the above, we note that there is a separate application from Sony for the PlayStation controller. You also check the premiun 4K HDR LED TV Sony X750D / X700D which impresses with advanced Android TV technology. Another point that is very often induces a potential buyer to buy a TV - is the availability of the operating system from Google Google Android OS, which is very popular. Less TV X850D, as we noted above, this "standard" viewing angle LED TV. If you are sure to want to see in 3D TV technology specifications, the Sony X850D you will not work, look at the Sony X850C. In conclusion, the TV line review Sony X850D, which will be available in XBR55X850D models, XBR65X850D, XBR75X850D and XBR85X850D, we note that many users rarely use the 3D function. Thus, these TVs from the mid-range is the perfect choice for home entertainment. 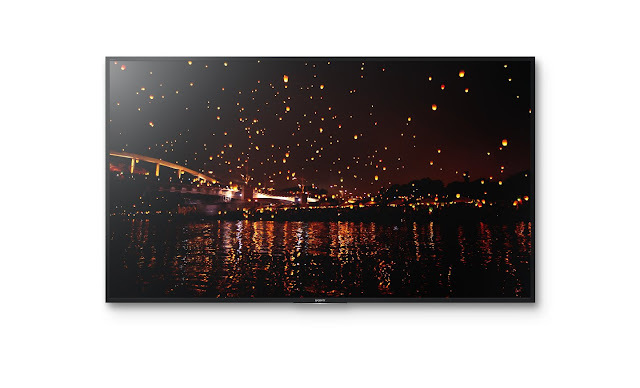 In addition, fresh televisions have Sony XBR-X930D, X940D, X950D that you will be able to see the link. I would also recommend you to check the well known best seller - the Sony Bravia KDL-42W650 Full HD LED TV which is still of huge interest to many consumers.